While the movement continues to grow, a new development has emerged in the past few years—we’re creating a completely independent parallel system in which parents can educate their children, Christianly. Like the gospel itself, Christian education sounds straightforward and deceptively simple at first. But, once you live it, you realize that everything must change. Unlike the Christian schools of a few decades ago, classical Christian education depends on virtually nothing provided by the educational engine in America today. Early on in the revival, curricular providers sprang up. Logos Press, Veritas Press, Classical Academic Press, Memoria Press, and a cadre of smaller publishers have now built full product lines for classical Christian schools. They have integrated history, literature, philosophy, and theology for secondary students. They have created a suite of Latin curricula for youngsters. Logic has been dusted off and is again taught in schools. Math and science have been recast, not as gods to be worshipped, but as a way to worship God’s natural revelation. These are just a few of the excellent offerings we can now choose from. 25 years ago, for a school to be a real “school” it needed to be state accredited. K–12 accreditation was a quasi state-sanctioned activity that used to provide progressive over- sight of schools. 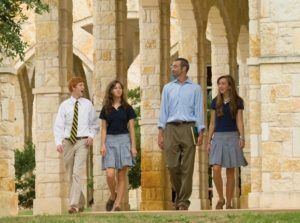 For the past 15 years, the ACCS has been offering the only private accreditation of classical Christian schools. 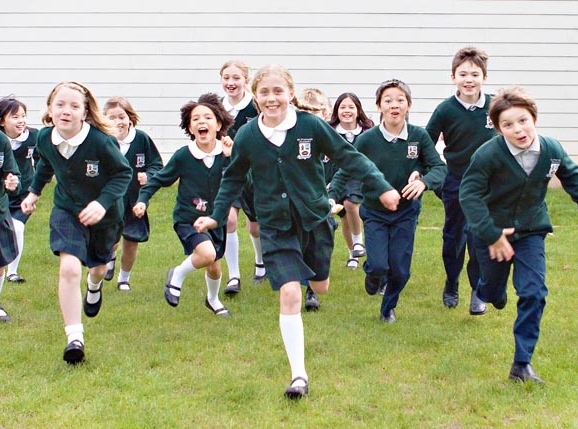 Like other highly-reputed accreditors (The National Association of Independent Schools, for example) we have purposely not sought acceptance by regional accreditors that would compromise the way our member schools practice classical Christian education. Our schools caught the attention of colleges, and now ACCS graduates are widely sought after. 25 years ago, a school that hired teachers who were not “certified” (held a state license granted after majoring in education in college) was probably struggling. Classical Christian schools seek teachers passionate about truth, committed to discipleship, and skilled in teaching, regardless of their state status. We can hire teachers who have perspective and experience outside the classroom. And, the ACCS now offers teacher certification that is based in the local school and the spiritual gift of teaching. Our teachers are passionate about truth, committed to discipleship, and skilled in teaching. 25 years ago, the SAT and ACT were the guiding lights to college entrance. Very recently, these tests have become increasingly about fact regurgitation and not about analysis and thinking. This year, the new Classical Learning Test (CLT) was launched as an alternative to the SAT/ACT college entrance exams that have been fixtures in the college admissions process. We have more tools at our disposal today than ever before. If we are to achieve our mis- sion to form the souls of our students to love and worship God, we must be about doing all things in a uniquely Christian way. That’s what classical Christian education is really about.